Brighten up your complexion in an instant with this skincare treat. If you have not being including a facial scrub in your weekly routine, then you’ve been missing out! Technically known as exfoliation, it’s a simple method that whisks away dead cells from the surface of your skin, revealing the plumper younger ones underneath. It also encourage the speed up of cell production, which means that cells that reach the surface are younger and better looking skin. The result is clearer, smooth soft skin, no matter what your age or skin type is. You all know I always bring you recipes that are simple to make, affordable and that does work. These are recipes of scrub have tried, still using and sharing with you guys, hope you find them useful. Mix all together, apply to damp face and massage gently into skin in a circular motion, avoiding the delicate area of the skin around the eye. Rinse off scrub thoroughly and gently pat dry with a soft towel. Mix together and gently massage into damp face in a circular motion and wash thoroughly, then pat dry. Mix and massage in to damp skin in a circular motion for few minutes and wash off thoroughly. Mix and apply to damp face massaging in circular motion for few minutes. Wash off thoroughly with warm water. Use an exfoliator on dry or normal skin once or twice a week, oily or combination skin can be exfoliated every other day. As a rule this treatment should not be used on sensitive skin or if you have very bad acne but the gentle face scrub can be used once a week as it help clear pores ,gentle and soothes sensitive or problematic skin. 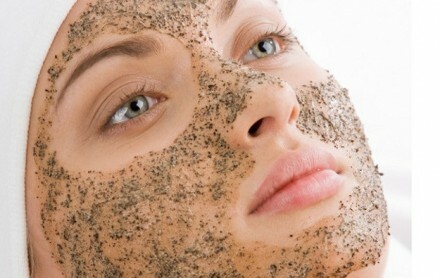 Facial scrub should be applied on already cleansed face which is still damp. Massage scrub in circular motion gently; do not rub harshly and not more than thrice a week. Oils/carrier oils can be added to scrub for dry skin, or when your skin feels tight/dry especially during the winter/harmattan season. Instead of using a facial scrub, gently massage your skin with a soft flannel, facial brush or an old clean shaving brush and facial wash. If you don’t care for your skin, who will? Stay beautiful in and out. Cleanser is what we use to cleanse our skin am and pm, since soap and water cleansing can be too drying for some. Mix together in a blender until smooth, and then pour in a jar with a tightfitting lid. Stir all ingredients, being careful not to beat as this will cause the soap to foam. Pour in a clean container one with a pour spout or pump is nice. Pour a small amount in your palm and massage gently in to skin( can also be used as shampoo or body wash). Rinse thoroughly off with tepid water. Mix together well and place in air tight container and use when needed. Can be also as body wash. Mix together and store in a refrigerator. 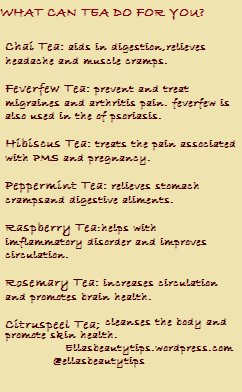 Pour a small amount in your hand and use. ½ cup equivalent to 8 tbsps. And ¼ is to 4 tbsps. Cleansers should rinse off with tepid water then follow by splashes of cold/freezing water to seal pores. All traces of make should be removed before using cleanser. 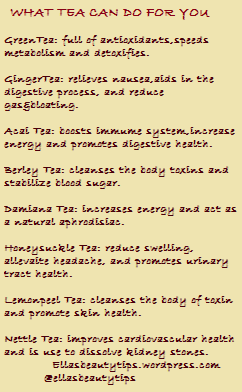 Double cleansing i.e. cleansing the skin twice instead of once is beneficial, first cleanse remove dirt and dead cells, while second cleanse cleanses the pores well. Cleanse your face twice daily morning and night. Moisturize after cleansing with lotion, oil or cream suitable for skin type. Make sure hands are clean before using cleanser, so as not to be transferring dirt back in to your skin. Place all ingredients in a blender, blend until smooth and creamy. Place in a tight jar container and refrigerate. Mix together and stir until smooth, heat in a small pan placed in a water bath inside another pan. Heat until thick and clear, it will have the consistency of pudding. Do not boil, let it cool completely. If too thick a little water can be added until you are okay with consistency. Mix together and store in the refrigerator. This cleanser is what empress Josephine, napoleon Bonaparte’s wife use to cleanse her skin for clean and soft glowing skin. Mix well and pour in a clean container to use. Place all ingredients in a blender and blend until smooth. Pour in a jar and cover, keep in refrigerator. Mix all ingredients in a microwave safe bowl. Heat for 2 minutes until very hot but not boiling to release all the essential oils from the citrus peels, or by placing the bowl in a pan of boiling water. 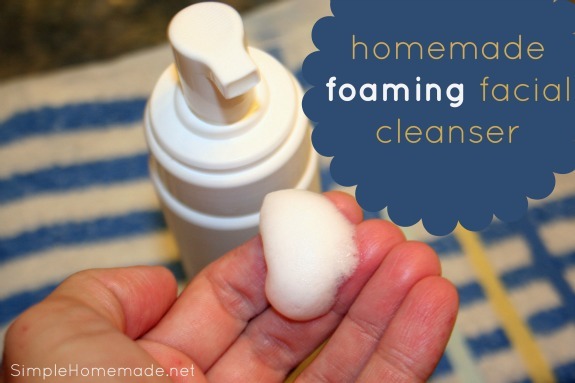 Use instead of soap to cleanse your skin. How much time does the average person spend pampering their feet? Studies say that definitely not enough. Especially women, we spend so much time and money in products to have beautiful skin and hair, not to mention makeup, lotions and nail polish, but we rarely spend more than 5 minutes taking care of our feet. Some people are not aware of how important they are and that they need care as much as all the other parts, especially during the summer or for women that wear high heels. Foot care becomes a necessary part of your health and beauty routine, and if you can’t do it every day at least follow a few tips on how to take care of your feet, making them look beautiful and healthy. First of all, they have to be clean. This doesn’t mean washing them under the shower is enough. Brush them with a pumice stone to get rid of their hard, dry and chapped areas. Then soak them in soapy water: make sure it is a gentle and hydrating soap, or it will irritate your skin. When you dry them, don’t brush them, but pat them gently instead and leave them a little moist. However, for what concerns in between toes, dry them thoroughly. Once in a while your feet need special pampering, especially if you spend most of your day standing. The ideal thing would be visiting a spa or a pedicure specialist, but most of us don’t have the time or the money. If this is your case you could consider buying a foot massager in a local store or a free-classifieds site to relieve your feet and getting back some of the regular blood circulation. It’s important to not put lotion on your feet before you use the foot massager since it will just make it dirty and possibly even affect its functioning on the long-run. After your massaging treatment your next move will be to put on some special cream to leave your feet smooth and healthy, without attacking your skin. Make sure is a lotion that suits your skin type, or you will risk to damage your feet and do worse. In order to get better results, massage your feet while applying the lotion, which will also help your skin absorb it faster. Last but not least, take care of your toe nails. Trim them properly with a nail trimmer and then file them to make them smooth and even. Remember to push down the cuticles with a nail nipper (those with a curved angle) and a cutting jaw shaped like the natural curve of toe nails. Apply some protecting coat nail polish on your toenails and, one it’s dry, apply whichever color you prefer leaving your nails strong and compact. And there you have it! Amazing and healthy feet, able to sustain the rest of your beautiful body and keep you looking fabulous. Reflexology tells us that all of our internal organs are represented on our various parts of our feet; if this were so, wouldn’t we be wanting to take more care of them? Of course! Stay tuned for more great tips! Most people are under the wrong impression that when they have their braids and hair extension on, they can only do little to care for it. There is more to moisturizing and styling your braids/extension, and will not only help your braids/extension last longer will also make it attractive and good looking at all times. It’s not only important to care for your braids/extension, the hair under should be cared for also, for proper growth, braids/extension shouldn’t be viewed as a non-maintenance style. Extension /braids needs to be washed, this may be once a week/every 2 weeks. 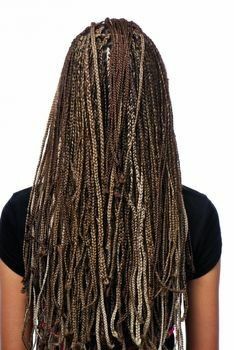 The best way to cleanse them is by letting water soak your head and use your hands to squeeze the braids / extension to make sure they are saturated. Apply shampoo in your scalp, massage the shampoo into your scalp where the braids / extension are parting, then use your finger to make the shampoo through your braids/extension. Fully rinse your scalp and hair, letting the water down wards motion rinse all the shampoo away. Synthetic hair braid/ extension don’t need a conditioning but human hair extension can benefit from it. Before going to sleep, cover your hair with silk or satin scarf/cap and can also plait in a loose braid, this will also further prevent tangle. In the morning, comb through your braids/extension with your finger and then use a wide tooth comb or any comb through it. If your extension is of human hair, you can use a little water/ leave in conditioner mixture on them to make detangling easier. While wearing braids/ extension, you have to take care of your scalp and under hair. Sometimes, the scalp may feel itchy. If it isn’t time for a shampoo. One thing you can try to alleviate the itchiness and clean the scalp is to apply an astringent to cotton wool and apply to scalp partings. Moisturize after with oil for scalp not thick cream because they clog the pore and slow hair growth. If you don’t care for your hair, who will? If there is anything i have missed out, please kindly share them with me and other readers in the comment section. I’m an African and Africans can have long and attractive hair with proper care which most of us hardly give our hair. Hair contribute to one’s beauty and appearance and with daily hair care and prompt treatment of our hair and any hair problems is a vital way to boost and maintain the beauty of an healthy hair. My hair is thick and dry ever since have started using homemade and natural treatment for my hair, it as really improve in growth, texture and shine. I now hardly braid my hair or even use extensions. So homemade treatment is not only affordable, it also really cares for your and which prompt care you will notice improve in your hair like mine. Quantity should be determined by length and volume of hair. * Put coconut oil, Shea butter, cocoa butter, olive oil in a pan and heat, then mix together well. Apply mixture to shampooed hair from root to tip. * Massage mixture well into hair to penetrate, then place shower cap on head. You either place dryer over head to heat or you use a silk or satin scarf/cap on the shower cap, leave for few hours or overnight. * Wash off with Luke warm water and use apple cider vinegar mixed with water /green tea to do the final rinse to help seal in moisture and give a natural shine to hair. * Always moisturize your hair at least 3 times weekly or daily. * Never braid your hair immediately after relaxing, wait for a week or more because the hair shaft is still sensitive and can damaged hair and scalp. * Comb hair morning and night to improve blood circulation and prevent tangling. * Use shampoos and conditioner that contains natural ingredient /natural ones to prevent chemical damage to hair and help hair growth. * Hair treatments to be done at least once a month or more. *Eat healthy we are what we eat and drink lots of water. If you don’t care for hair, who will? 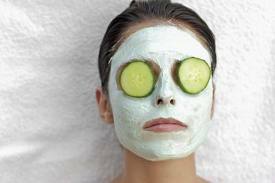 Homemade remedies for mask, scrub and other treatments is how I care for my skin, and they are easy to make and also very effective. Ideal for dry skin, they banish dry patches and flaky skin. They can also be used for other skin types once in a while for a moisturizing treatment. They can also be a smoothing treatment after too much sun or when your skin feels tight. – Avocado boosts 14 minerals and antioxidant E and A. – Mix honey and egg yolk together first, then add oatmeal and mix/blend together to form a smooth paste. Apply on face and leave for 15minutes, rinse off with Luke warm water. – Organic plain yoghurt and honey mix together, apply on face. Rinse off after 30minutes with warm water. Cooked oatmeal, leave to cool and apply on face until dry and hardened. Rinse off with warm water. Smooth dry and sensitive skin, moisturizes and gives a soft glowing skin. – Blend banana and honey until a smooth paste is formed, apply on face for 15 to 30 minutes and wash off with warm water. – Soothes dry and sensitive skin then leaves the skin soft and glowing. *Moisturizing mask ideal for dry and sensitive skin to smooth it but can also be used by other skin types for once in a while face pampering or during harmattan/winter season. *Mask can be used twice daily for extremely dry skin until result achieved, then can be reduced to 3 to 2 times weekly. *Dry skin types should opt for heavy cream/ oil, not lotion moisturizer after applying masks. They Ideal for oily skin/acne prone skin, and also for acne treatment. They draw out impurities from the skin leaving it cleansed and smooth. – Mix together and apply on face for 15minutes. Rinse off with Luke warm. This mask can be used twice daily for severe acne but 3 to 4 times weekly for mild acne/normal zit. – Mix together and apply on face for 15 to 30 minutes, then rinse off with warm water. This mask should only be used once daily and 3 twice weekly. Mix together and apply on face/ problem areas for 30minutes, rinse off with warm water. This mask can also be used as spot treatment. Mix together and apply on face for 1 hour, rinse off with Luke warm water. Masks can be used twice daily or at least 5 to 4 times weekly for quick result. Mix and apply on face for 30mutes, rinse off with warm water. Cut tomato in two and rub on face or the problematic areas, can leave for 1 hour or longer can be used twice daily for quick result. Cut into two and apply on face or problematic areas for an hour or longer, Use twice daily. 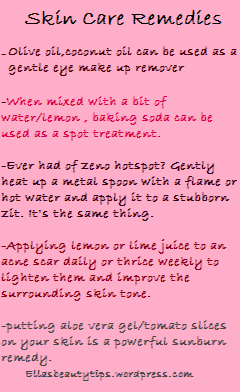 NOTE: Once lemon /lime juice is applied on the face, you should not go under the sun or better still use only at night. Crush aspirin/Advil mixed with water can be used as spot treatment overnight/ during the day. Use as spot treatment and also all over face. *Remove all traces of makeup and properly cleanse face before apply any treatment. *Mask should be rinse off with warm water not hot water, and then cold or freezing cold water can be splashed over face to seal pores. *Zit masks can be used daily or according to instructions all over face/ problem areas only. *After every treatment face should be moisturized according to skin type. *Mask should be prepared for one use to ensure its freshness. *When you have a big painful zit, do not pick at it instead you apply ice to reduce pain and swollenness. Or apply any of the spots treatment overnight. *Plaster can be placed over stop treatment overnight, so as not to stain/rub on pillow case. *Change pillow cases regular ,they collects oil and dirt from our hair and transfer back in to our skin/ better still have a clean sheet/towel and place on your pillow every day. For more tips simply click on the like/follow button, thanks. Sanitizing our mobile phone(s) is really necessary. Our phones come in contact with lots of things daily and in the process may come in contact with germs. Our mobile phone touches our face at least once or twice daily either to receive or make calls. These germs on the phone come in contact with our face/skin, and can cause us to break out. If you are using alcohol, damp the cotton wool with little alcohol and wipe your phone and re wipe if necessary. 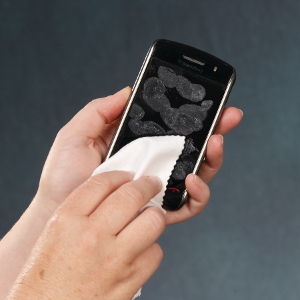 Phones should be sanitized at least 2 to 3 times weekly. If you have any other way(s), you use in keeping your phone free from germs and I didn’t mention it, please do share it with me via the comments. You can also reach me via my Facebook Page or on Twitter @Ellasbeautytips for any beauty related issue(s) you might be having. I have a very oily skin which makes my face mostly prone to acne, so I needed a moisturizer that won’t make my face greasy and wont block my pore and cause me to break out. That was when jojoba oil came in, I did all my research on it and jojoba oil seemed to be just what I needed. Its being natural meant it was suitable for oily and acne prone skin like mine, the oil is similar to the sebum oil which our skin produces ( in oily skin case it over produces it). So what jojoba oil does basically is to trick our skin into believing it has produced enough oil on our skin. I started using my jojoba oil, at first really i loved it. It was just all it was meant to be. My skin became less greasy I even hardly powdered my face; it made my skin glow, soft and supple. Until one morning when i was dressing up and I noticed some rashes on my hands, I first thought it was just the heat wave but overnight it spread to my shoulder, chest, neck, and my face. I started treating it with anti-bacterial soap, powder, cream etc., I was even was on drugs but all was to no avail as it just kept on spreading. Suddenly, it just came to me to stop moisturizing, within a week that I stopped; I started to see some improvements, after two weeks it was all gone but left some dark patches. Then I was like well since it’s all gone let me start to moisturize my skin again, as it [my skin] was already really looking dry and flaky. So I started to moisturize again with my jojoba oil and after few days, the rashes appeared again. I stopped and they left again. Then I changed my moisturizer and for about a year now, I have not noticed any rashes/irritation on my skin. 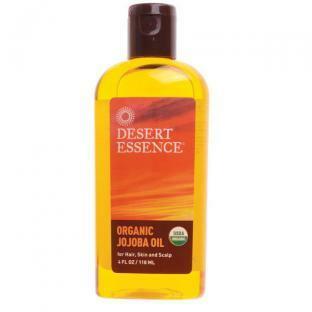 ….AND THIS WAS MY EXPERIENCE WITH DESERT ESSENCE JOJOBA OIL. Have you used any cosmetic products and weren’t/were satisfied with its result, if yes then share your experience view with me via the comment section. You can also share your thoughts on my Facebook page (www.facebook.com/ellasbeautytips) or send me an email. For more beauty tips on the go, simply follow me on Twitter @Ellasbeautytips. NB: This review is not in any way meant to make Dessert Essence Jojoba Oil look bad or discourage people from using it, it is only my personal review, what I experienced using it and thought to share it. Enter your email address to subscribe To Our Daily Natural Beauty Newsletters by email.